STONECHANGE 2016 is attracting great interest from key Mining Consulting Companies from all over the world. 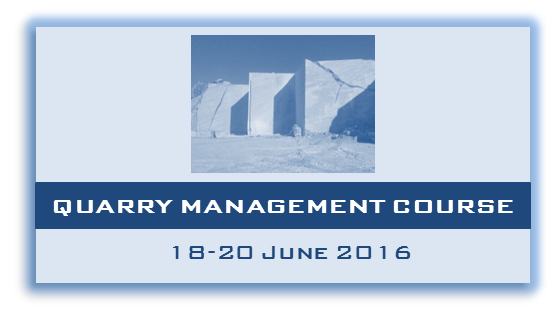 An official presentation of STONECHANGE 2016 will be also made in Carrara Marmotec Stone Fair 19-21 May 2016 (www.carraramarmotec.com), during the Conference titled “Sustainable Stone”. During the Fair Event, among others actions in full synergy with STONECHANGE 2016, it will be selected the best paper, to be presented to the STONECHANGE 2016 Conference in June. STONECHANGE 2016 (“Stone Sector and Changing Trends”) an international conference that wishes to bring, into the famous world marble hub of Carrara, the private sector and Institutional stakeholders of the Dimension Stone Industry, to discuss about the Sector Changing Trends and how taking advantage of the existing opportunities for a sustainable development. STONECHANGE 2016 is intended as a key initial “turning point” for the modernization of the EU stone sector on a global view. The Stone Community must become aware that “making the Dimension Stone Industry innovative and sustainable is the sole way to keep it alive and make it more mature and modern to face the present and next future global challenges. You can no longer wait !! Then, the aim of STONECHANGE 2016, among others, meets most of the objectives of European Innovation Partnership EU Program for raw materials.